I am here with another Born Pretty Store product review. I really like this store, i like their range of nail related products, of-course their reasonable prices and free shipping. 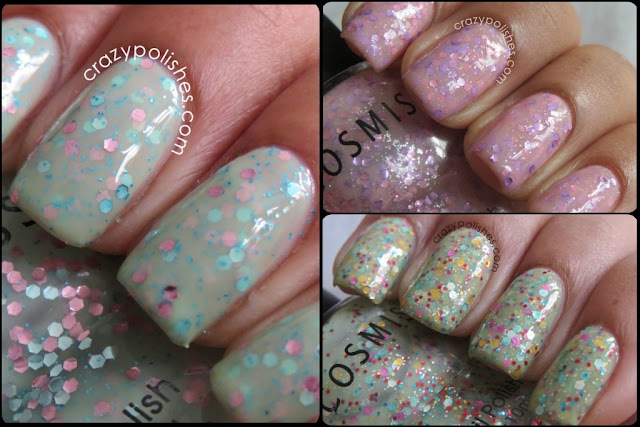 Today i have few polishes from their Candy Color Glitter Sparkle Yogurt polish collection. This collection has ten polishes and i have shade 3, 14 and 9 from this collection. 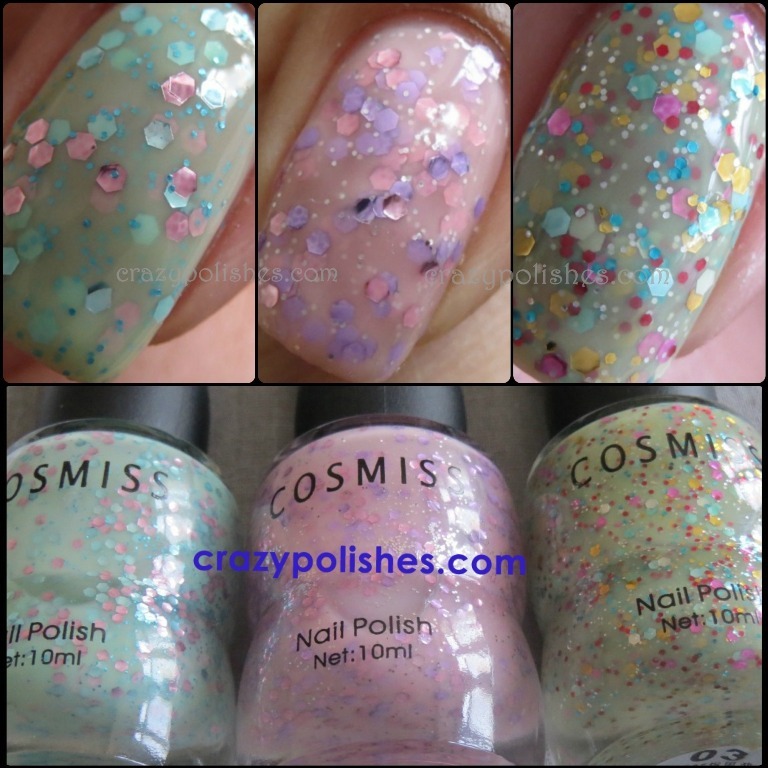 All polishes in this collection has glitter suspended in tinted crelly base. 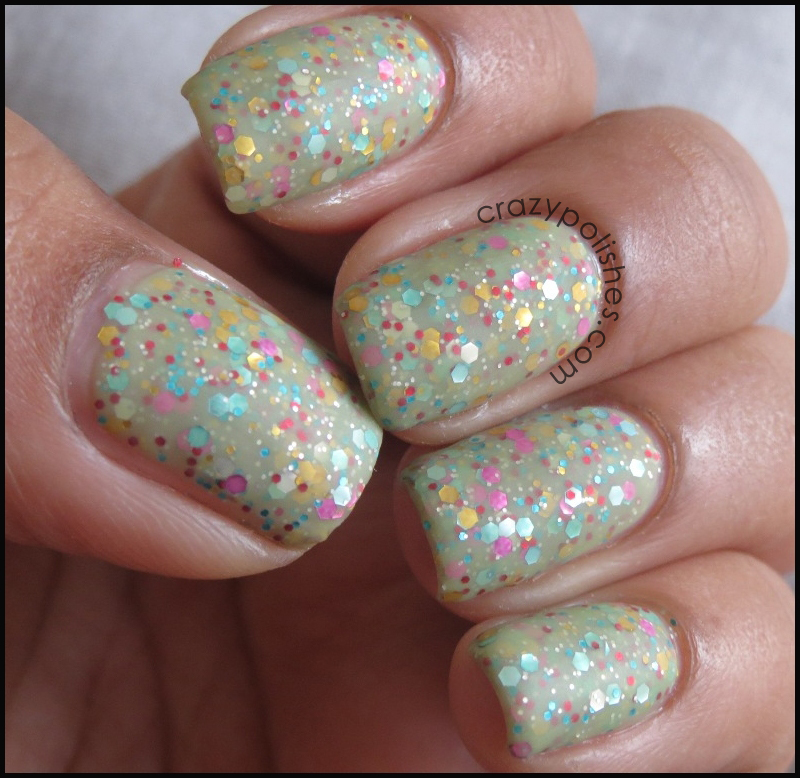 This post is **picture heavy** so please click on read more to see detailed swatches. These polishes are sheer (I used four coats for shade 9 and 14 and two coats for shade 3 to build up the color). You can layer these polishes on another base.. in that case you will need only two coats of each of them to layer glitters. 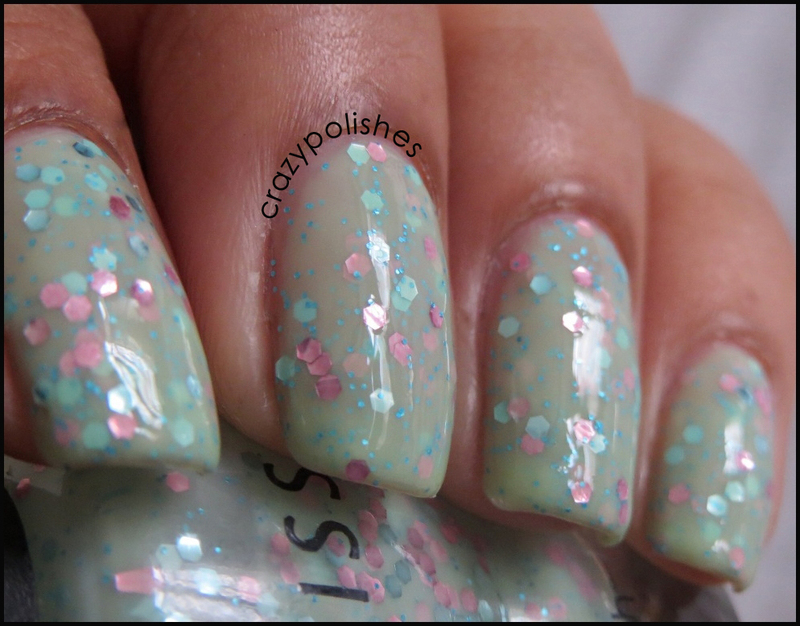 Shade 9 is a light pistachio base and has pink and bluish green hex along-with small bluish green glitters. 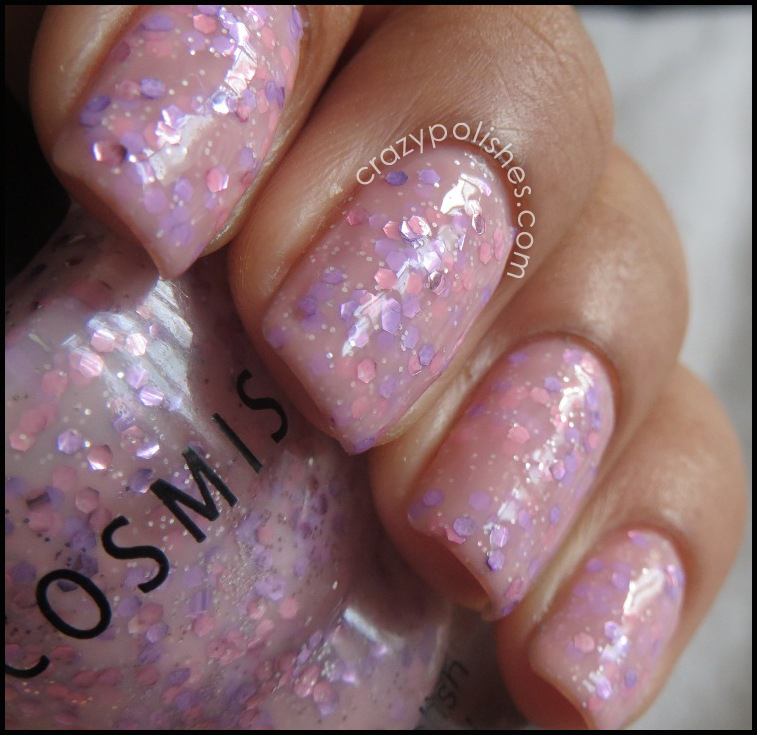 Shade 14 is a mix of pink, lavender and silver hex and small glitters suspended in milky pink base. 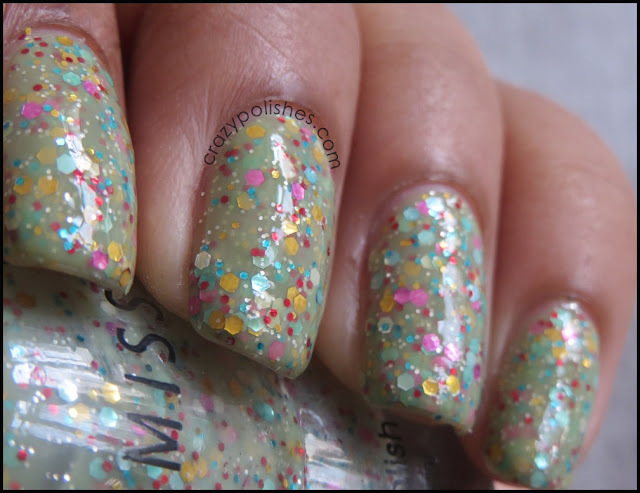 Shade 3 conatins various sizes of multicolor glitters suspended in a pale green milky base. Application vise i find all of these three ok. Loaded with glitters but still glides smoothly on nails. 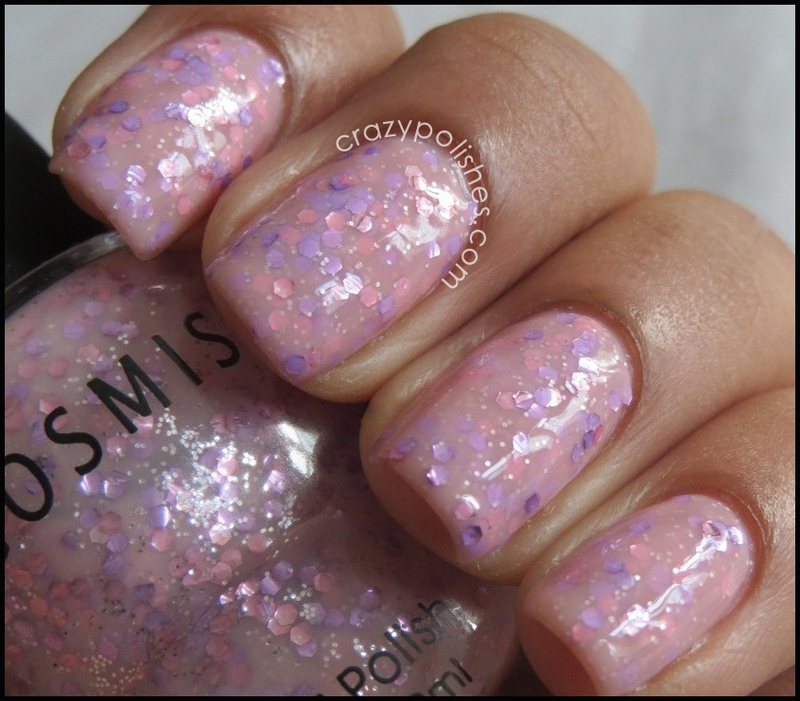 Glitters doesn't sink to bottom and doesn't get clumsy on nails. 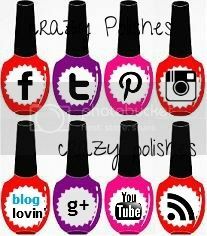 You can buy these polishes directly from here. So which one you liked most?? ***product sent to me for review. Omg dimpal, they are all superb and a very nicely written n detailed review. i hav entered ur giveaway. One last thing, u got these paints in India or London? ?